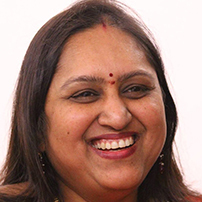 Geetha is a Councillor for Milton Keynes, elected in May 2013, She is also a member and Vice Chair of Equalities Council, UK, she is a passionate activist for women’s rights. She is specialised in tackling several issues generally faced especially by 1St generation migrant Indian women in UK, rest of the Europe and the Americas. She is founder of the Women’s empowerment network. Helping people campaigning for better conditions and equal pay and increasing the entrepreneurial abilities of women.